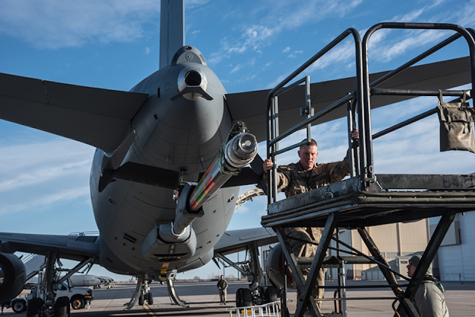 The Air Force will begin receiving KC-46s again within weeks, following a second round of inspections after more foreign object debris was discovered in the aircraft. However, the service now needs to send the aircraft it has already received back to Boeing for more checks. Will Roper, the Air Force’s assistant secretary for acquisition, told reporters at the Space Foundation’s Space Symposium in Colorado on Tuesday the Air Force is again satisfied with Boeing’s corrective actions. The service will accept more aircraft in the near future after sealed areas like fuel tanks are deemed compliant, and once it ensures the company is obeying its corrective action plan. There will definitely be two more aircraft delivered by the end of the month, Roper said. Both will likely leave Boeing’s Everett, Wash., facility next Friday, Roper said. Click here for the full story, on the Air Force Magazine website.